Fiverr is a website where you can get things done at the unbeatable starting price of $5! 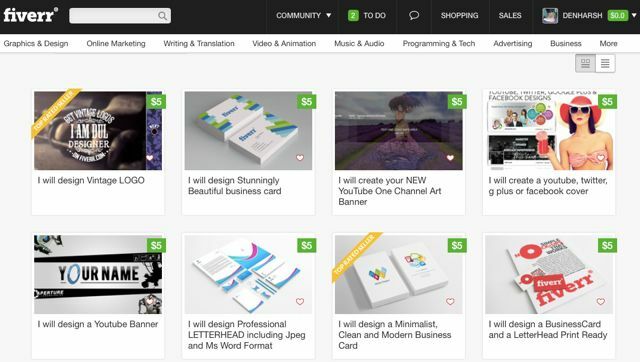 Fiverr is a great place for freelancers looking for potential clients. The site is easy to use and offers the first step when you are looking to kickstart your freelancing business. They have everything from Graphics & Design, Writing, Translation, Business, Tech, and many more! Fiverr will seal the deal for you here. The website is a popular marketplace online for freelance services with rates starting from as low as $5. Whether you want a skilled designer for your website design project or need a digital marketing freelancer to make your site SEO-friendly- you will get all these on Fiverr and many more.